Pretty bright cherry hue with nice Pinot aromas of gentle cocoa and str4awberry with candy cherry lifesavers with a base of mulling spices. Palate--Crisp, pure, fruity strawberry, with cinnamon touch and solid Pinot flavors. this is a lot of wine for the $12 I paid at Trader Joe's. Raise a glass of a nice straight forward Pinot Noir. Here's a big, muscular Petite Sirah that's just softening up a bit now six years after harvest. It's rustic and tannic but dark and complex. If you have some, it's good that you waited to drink this. But don't wait too long or the fruit could fade. It's showing some big aromas of crushed berries right now that really drive this wine. Go ahead and enjoy! I paid $20 for this on a close-out deal, but the release price was $55. It's an extremely small production wine at just over 300 cases or so from an excellent producer. Raise a glass! I'm a bit disappointed with this wine. 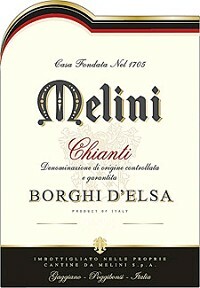 It received some critical acclaim as a value priced Chianti that stands out from the pack, but I just don't see it. It tastes like every other Tuscan wine in the under $10 category. There's nothing that stands out, save perhaps the somewhat silky finish. Expect to pay around $9, but raise a glass of something else. This wine is all about the texture: rich and smooth. It has plenty of fruit to round it out, but you won't find a more richly textured Chardonnay at this price. Expect to pay around $17. 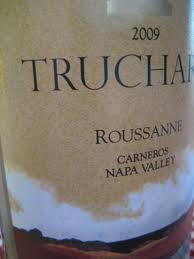 Of course, the debate about oaked versus unoaked Chardonnay always seems to enter when discussing a wine like this. I favor oaked Chardonnay because it's one of the white grapes that interacts best with oak. Can it be overdone at times? Well, of course. But so many other popular white grapes do better in steel tanks. If I want that style, I simply reach for something other that Chardonnay. 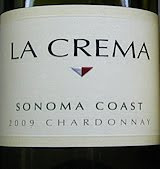 Raise a glass to La Crema! 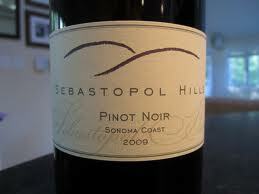 It's nice to discover a good value Pinot Noir. This one delivers a red fruit profile along with a silky texture for just $15 or so. I found it for $12 on sale. Roast a whole chicken with vegetables- and raise a glass! Intense black cherry to the rim. Bouquet--Dried fruit with slight prune notes with sweet floral, red fruit with a maple/cocoa and then peppermint presence. I was astounded! 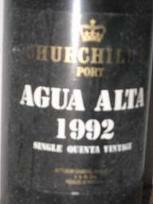 Palate--Thickish, satiny dried dark fruit, black cherry, superior, young and amazing! The 3rd wine served to me blind by (NW) of this blog and I was so spell bound by what I was smelling that I almost lost consciousness. Every swirl of the glass revealed yet another fragrance. My notes do not do this wine justice. Having no categories and certainly no experience with a wine of this caliber the dried fruit, first made me think Amarone! But this was no Amarone. 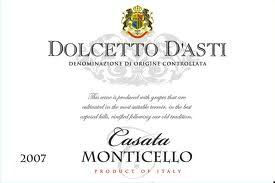 The texture, the elegance, the wowing presence then lead me to my closest experience to such a wine which for me meant Brunello. But this was no Brunello. This wine has made me a believer in Brodeaux. Explanation--in what sounds down right heretical in the world of wine, my experience to some upper tier Bordeaux of the Classified growths has greatly disappointed me over the years of my study. From Haut Brion, Batailley, a 1975 Leoville LasCases that was stored poorly and a few more, my view of Bordeaux has been that they are overpriced, over-hyped wines that sell at greatly inflated prices because of good marketing, their history and the ignorance of the rich who can afford them. Give me a good California Cabernet for my money. But now this. This could mean the end to any illusion of retirement I may have been working toward. (NW's)wife paid $175 for this in 2003 but think more along the lines of $350 now. What a wine, and a memory. Bordeaux I believe! Thanks (NW). Thanks Spin! Palate--prunes with pleasant, elegant flavors, sweet and velvety with gobby berries and cream and more dark berries and a finish that doesn't really finish. This Port still looks like it is infant in its youthfulness. There isn't a hint of age at 19 years of age. It will last decades! This was the desert wine (NW) served with an assortment of cheeses and dried fruit. The bottle could have easily been emptied it was so delicious. Raise a glass! There is already some bricking at the rim of this wine meaning it is showing some age so I put it at at around 10 years old. There was a slight stink which I am equating with Grenache and a prominent peppery aroma pointing to Syrah and Mourvedre. As it sits in the glass there is slight chocolate and licorice with more licorice than chocolate later. Then notes of dried strawberry fruit-leather follow. Palate--Black Pepper and bold presence trailing to a fleeting chocolate note which was not present on subsequnet tastes. then strawberries on forward. I was pretty sure this was from the Cotes Du Rhone region of France which is known for their blend of GSM--Grenache/Syrah/Mourvedre and of course that is what it was. I was surprised that it was as young as it turned out to be. Wine Spectator gave this wine 94 points. It was a NICE wine so raise a glass! Palate--Dried red fruit, slight licorice, rustic, quick finish. Served to me blind on a weekend blow by at (NW's) of this blog, this was the second wine in a series of 4 he served. 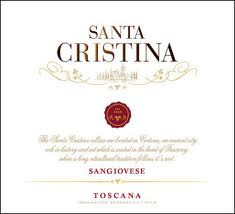 I was stumped when asked what I thought it was and yet reading through my tasting notes, without having seen the wine much less tasting it, just from my notes I would have said Sangiovese! Brain cramp? At any rate, Querceto in Greve Italy has nothing but GREAT memories as we stayed with (NW) and his wife at Vignamaggio in Greve a few years back. It is a working winery in the heart of Tuscany and the birth place of Mona Lisa. This is the wonder of wine; a liquid in a glass that can evoke memories and special times like they were yesterday. This wine wasn't super but it was a great trip down memory lane. Nice garnet hue with lovely earthy dried cherry Sangiovese aromas. 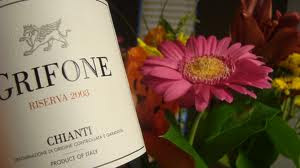 Palate--Bright first impression with slightly chewy tannins that lend to an impression of heft but this is a light, flavorful example of Chianti Classico with dried red fruit and a gentle finish. This is a $5.99 Trader Joe's Italian selection and is a great value so raise a glass! Black cherry hue with a little bottle stink on opening, earthy cherry opening to candy apple aromas. Palate--Bright and medium in body and a little quick but needs air. It opens well with pure Sangiovese bouquet with pure cherry and well made; a very good food wine. This was a blind grab so to speak knowing nothing about it except whose name was on the label. "Antinori" one of the major families of Tuscan wines for ages who makes great wines. This is a blend with 5% Cabernet Sauvignon and 10% Merlot. I paid $9 for this and it will be contender for my top ten of 2011 so raise a glass! Pale straw in color with vanilla fruit and a touch of pineapple. Palate--Slightly sweet presence with back bone of lemon and sour apple. I would like more acidity but it it is adequate and easy going down. Serve with a little chill on it and at $8 raise a glass. Here's the deal: California Syrah is one of the most overlooked wine categories on the planet. Why? Because all the best producers manage to deliver big, intense wines that are not sweet and cloying but rather structured and firm with at least some reference to signature Northern Rhone Syrah from France. I can't speak to the $10 wines, but once you decide to spend $30 or more on a California Syrah you enter a world of well made, small production wines that are every bit "artisanal". I mention these prices only to help provide some framework- it's no exact science. Generally, you should look for notes of pepper and good acidity in addition to the ripe fruit that makes up a good Syrah. 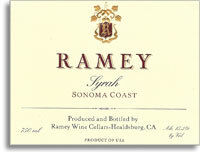 Ramey is known for Chardonnay and Cabernet Sauvignon, but David Ramey's line up of Syrah is incredible. He's one of the great producers for sure. I enjoy wines from all over the world, record notes on hundreds of wines a year, and spend little time "following" winemakers or even wineries. There's too much to explore. With that said, Ramey is one of the great wineries of California that's hard not to appreciate. This bottle runs about $35 and is worth hunting down. Drink it now or lay it down for ten years. In fact, this type of Syrah will taste great at fifteen years based on my experience. Most people wouldn't know that off hand because it's rarely discussed in the wine press alongside Cabernet Sauvignon or Pinot Noir. Every year, among my 500 wines or so that I taste, I choose two specific types of wine to focus on in order to gain more insight. For 2011, one of those is California Syrah. I've recorded notes on roughly 30 different wines in this category. It's a category that has fallen flat with consumers in recent years and that's just a shame. In the Pinot Noir world we live in, take a step away from the herd. And raise a glass of Syrah! This is a very good Brunello that should age well. It's dark, savory, and complex, with a long finish. Give it some time and it will be a special treat with a hearty meal. Expect to pay around $50. Raise a glass! Mature garnet presentation with ever so slight signs of aging at the rim. Bouquet is full of cherry with deep heavy forest floor and spicy moss. Wow! Palate--Integrated, bread with cherry fruit and a rear layer of creamy milk chocolate with layering and a loooong lingering cigar box, fruit finish. This wine will be in my final Top Ten wines of 2011 to be sure. It is a Trader Joe's $19 steal and I will be buying more to be sure. Absolutely a must buy and a great value! Raise a case! Lighter medium purple/garnet hue with big berry bouquet that is full of Zin. Palate--A little chewy with some chocolate and nice berry flavor. Solid zinfandel presentation but quite disappointing. 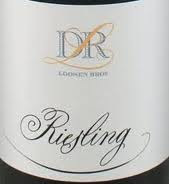 This wine sells at around the $20 price point and I have had numerous zins at the $10 price point that are as good. For the price I would pay a few more dollars and get a nice Rosenblum single vineyard! Nose: Honey and Apricot on the nose. Soft flowers. Palate: Spice. Soft and even balance of acid and sugars. Finish: Green melon and hay. Slow and elegant. Overall: This wine was sent to us at The Wine Cask Blog for review by the good folks at the Soave Consortium. This wine is made of the Garganega grape and comes from the Soave region of Italy. Overall, this easy drinking white is a very easy drinking wine that has wonderful flavors. We sampled it immediately on opening where the nose was delightfully strong. After some exposure to the air, the flavors and feel in the mouth had settled down and evened out. The softness of the wine is quite elegant. It is supple and embracing. This makes it a very accessible wine that pairs nicely with fruit and cheeses or other light snacks. It retains its flavors without tapering off which is delightful in such an easy-drinking white wine. 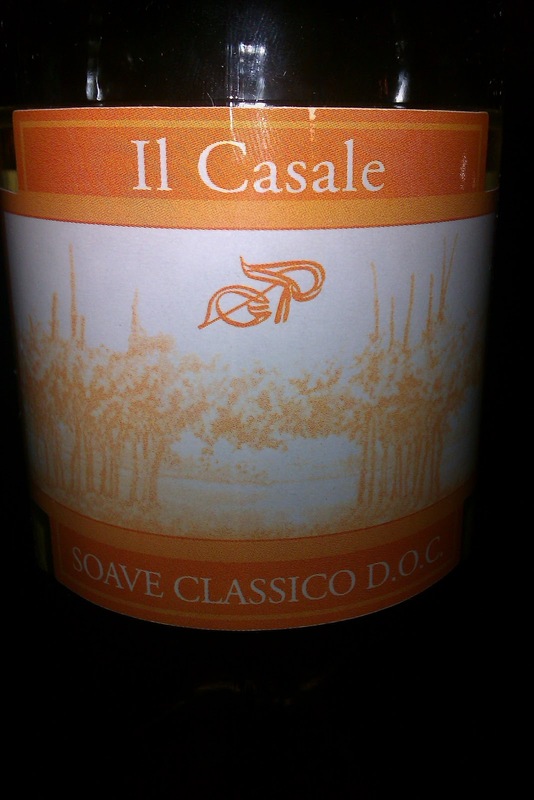 Raise a glass to Il Casale 2009 Soave Classico. Bright ruby hue with a staid bouquet. Palate--Dried cherry, thin, closed, marginal even at $8. Pass on this one! Black cherry hue with some depth, and rising fruit aromas of blueberry, cigar box and black berry from the glass. 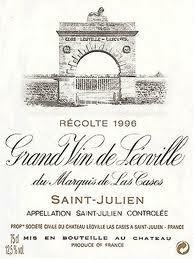 Palate--The wine is tart with chewy tannins, rough edges, tight fruit and harsh. I aerated it and breathed it more--which did help some but is still too young. there is good potential here but it needs to be in a cellar a few more years. Classic Bordeaux style and 80% Merlot with 20% Cabernet Sauvignon. I saw this at one of my favorite haunts for $18 and since 2005 was such a great year for Bordeaux, I figured it should be really good. Baronne Nadine Rothschild is involved with this wine so certainly has a good pedigree but needs more time. Green herbal front with medium blackberry on the bouquet. Palate--Bread,, medium fruit, blackberry with plum notes. This needs another year and will drink even better. Not the best Columbia Crest has done but at $8, always a good value wine. Raise a glass! So deep it looks like Syrah in the glass but smells like Zinfandel all the way with espresso and black berry aromas. Palate-- Big and bold, again Zinfandel all the way with robust, sweet, rich textured, butter chocolate and loads of fruit. Holy cow! Get a grip factor--This wine is a blend of Zinfandel, Cabernet Sauvignon, and Merlot but from the smell and taste, I would say that besides Zinfandel, they must have merely waved the other grapes over the vat. This is thoroughly Zinfandel and here is the real get a grip factor--I just had a Buehler Zin rated at 91 points by the big boys and I liked this wine as much, and perhaps even more. I paid $7.50 for this wine and 3 times that for the Buehler. Seek it out and raise a glass! Medium garnet hue with a slight stink and nice cream and cherry-berry bouquet. Palate--Complex mature wine with cinnamon, herbs and anise; a tasty wine. This was the third wine (NW) served me up blind. I put it at a wine of upwards of 15 years...so I was of by 5--can't win them all. The Ribera Del Douro is dedicated to the Tempranillo grape and this is a fine example of how well they can mature and how wonderfully complex they can present. (NW) thought he paid around $38--another treat and we raised a glass or two! Deep and darkly pigmented black cherry hue right to the rim of the glass. Bouquet is full of rich black berry, plum and cocoa with vanilla note. Palate--Rich mocha, with intense depth, full bodied with loads of "stuff" waiting to be released in the treaure trove of complexity; white chocolate emerges a little later. This is a young, immature plush wine of immensity that finishes with lasting espresso and blackberry jam. Again served to me blind, it reminded me of a young (2006) "Don Melchor" from Concha Y Toro but my first impression was a gargantuan, superior Syrah. Made by the famous "Lewis" winery it is 70% Syrah with 20% Cabernet Sauvignon, and 10% Merlot. If you want a Lewis wine--you'll pay for it! this one runs in the $50 range but it was (NW's) pocket so raise a glass and say "Yeah baybay!" This Carneros (Calif.) is a medium gold in the glass has a pronounced tropical fruit and pineapple that smells "old world." Underneath the forward grangrances there is subtle peach. 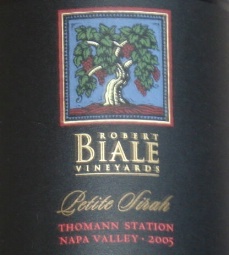 Palate--This wine has a sharp acidity, is off dry with solid tropical fruit flavors. (NW) served this to me blind--as usual--and I believed it to be an old world style perhaps Alsatian Gewurztraminer with a little age on it. It is, as its name reveals is the grape "Roussanne" which is typically a blending grape in numerous white French wines. This wine runs around $17 and is a nice wine so raise a glass.